Al-Qaida claims it Kidnapped German from Nigeria! killed them when attempts were made to rescue them. There has been wide spread belief that the group is getting assistance from foreign terrorist groups like the Al-Qaida group, in the Islamic Maghreb, (AQIM), and these claims have been corroborated by international security chiefs and agencies. Only today, a Mauritanian news portal; Nouakchott Information Agency website, a medium which has always been used by Al-Qaida to send messages and publish press releases, published a statement that an Al-Qaeda group based in North Africa has declared that it is holding a German citizen captive after abducting him in Nigeria. The statement published on Wednesday March 21, by the AQIM is demanding that German authorities release Oum Seif Allah Al Ansari, who the terror group said was being subjected to inhumane treatment in a German prison. The German man, Edgar Fritz Raupach, an engineer was allegedly kidnapped in Kano state, in January and his abduction is believed to be the first time the terror group has kidnapped a foreigner in Nigeria. Security in Nigeria has been under seige in recent times and kidnapping is not strange to citizens and foreigners living and working in the country. This is the first time an international group is openly claiming responsibility for any terrorist activity but my question is, how did they penetrate the shores of the country despite the assurances given by Nigerian security agencies that they are doing a lot to curb terrorist activities? 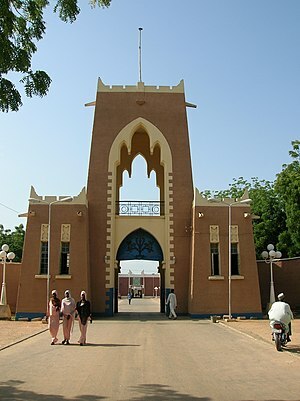 Nigerians on Wednesday, March 21, 2012 were awoken with the news that Islamist sect Boko Haram ruled out talks with the federal government. A purported spokesman for the radical Islamist sect said on Tuesday, the group had “closed all possible doors of negotiation” with a government of “unbelievers” that it cannot trust, and called on Muslims to join the fight against it. The statement to journalists in the sect’s heartland of Maiduguri in Borno State came two days after a Muslim cleric brokering initial peace talks pulled out, dimming hopes of a negotiated end to the insurgency. The negotiations were aimed at ending months of bomb and gun attacks by Boko Haram that killed hundreds, mostly in the majority Muslim north, and have at times dominated Goodluck Jonathan’s presidency. Lagos resident, Precious Ose Idehen who spoke to Reuters said it was not clear what Boko Haram is fighting for, so the group should enter into dialogue and state their demands. Success Olawale Martins, an unemployed graduate of Business Administration, said President Goodluck Jonathan had tried to keep peace with the sect long enough. And insurance broker, Ambrose Ochonogor went even further to add that the government should openly fight Boko Haram. Boko Haram has said it wants to impose Islamic sharia law across Nigeria, which is split equally between Christians and Muslims. But with the spate of killings in recent times, has cast a shadow of doubt over the group’s demands, hence the call for dialogue by the Federal Government. — Two bombs exploded in Nigeria‘s restive north on Tuesday, killing one policeman in the city of Kaduna, hit hard by a wave of attacks claimed by Boko Haram Islamists, police said. Two bombs were planted near a military checkpoint outside the main mosque in Kaduna’s Unguwar Sarki area, police and residents said. After the first bomb went off, soldiers at the checkpoint discovered a second explosive device and called the police anti-bomb squad, Kaduna state police spokesman Aminu Lawan told AFP. “We lost one of our men from the police bomb disposal unit. He died when an explosive device he was trying to defuse exploded, killing him on the spot,” Lawan said, adding that no other casualties were reported. “As if he knew what was going to happen, the policeman ordered everyone to move back and as he leaned to take the bomb out of the bag, it exploded with a bang,” resident Abdullahi Isa said, recounting the officer’s death. 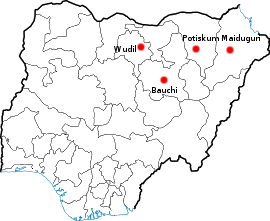 Boko Haram claimed responsibility for coordinated blasts that rocked Kaduna on February 7. One of those attacks was carried out by a suicide bomber who tried to drive a car packed with explosives into a military barracks. The military said the bomber was stopped before reaching his target and that he was the only one killed. In December, a powerful explosion hit Kaduna, killing at least eight people, wounding many others and destroying a number of houses and shops, but the cause has never been clarified. Boko Haram has claimed a series of both large- and small-scale attacks around Nigeria — primarily in the north — that have killed more than 200 people this year. The group’s deadliest attack came on January 20, just north of Kaduna, in Nigeria’s second city of Kano, which killed at least 185 people. Boko Haram has mostly targeted the police and other symbols of authority in Africa‘s most populous nation and top oil producer. Poverty in Nigeria is rising with almost 100 million people living on less than $1 a day, despite strong growth in Africa‘s second largest economy, data showed on Monday. The percentage of Nigerians living in absolute poverty – those who can afford only the bare essentials of food, shelter and clothing – rose to 60.9 percent in 2010, compared with 54.7 percent in 2004, the national bureau of statistics said. Although Nigeria’s economy is projected to continue growing, poverty is likely to get worse as the gap between rich and poor in Africa’s largest oil producer continues to widen. “It remains a paradox … that despite the fact that the Nigerian economy is growing, the proportion of Nigerians living in poverty is increasing every year,” Statistician General Yemi Kale told reporters in the capital Abuja. “NBS estimates that this trend may have increased further in 2011 if the potential positive impacts of several anti-poverty and employment generation intervention programmes are not taken into account,” Kale said. Corruption is rife in Nigeria and for decades politicians have focused on milking cash from crude oil exports, which average more than 2 million barrels per day, rather than developing infrastructure and creating jobs for locals. Despite holding the world’s seventh largest gas reserves, which could be used to generate power, Nigeria only produces enough electricity to power a medium-sized European city. More than half of the country’s 160 million inhabitants live without electricity, while the rest have to rely on expensive generators run on diesel supplies controlled by a small and powerful cartel of importers. Tens of thousands of Nigerians protested for over a week in January against the government’s decision to end subsidies on petrol imports, a decision welcomed by economists. What started as a protest against fuel prices, quickly developed into anger over government corruption and poor governance and pressure has been building on President Goodluck Jonathan to tackle graft, particularly in the oil sector. Jonathan has set up several committees and an audit report is being carried out on the national oil company NNPC. Many such reports have been ignored in the past and industry experts say it is unlikely endemic corruption will be reined in. The protests came at a bad time for Jonathan who has been criticised for not getting a grip on increasingly deadly attacks by radical Islamist sect Boko Haram in the north. Boko Haram, which wants Islamic law more widely applied in Nigeria, killed more than 250 people in January in a series of bomb and gun attacks in northern cities. It mostly focuses its violence on the police and other authority figures. Poverty feeds the unrest because the sect is able to coax into its campaign disillusioned youths angry with a government which offers them little. 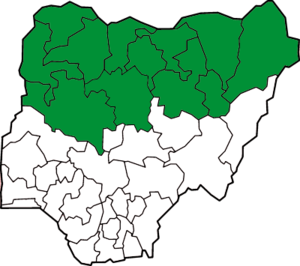 Data on Monday showed that the northeast and northwest, where Boko Haram originated, are the poorest regions in Nigeria. 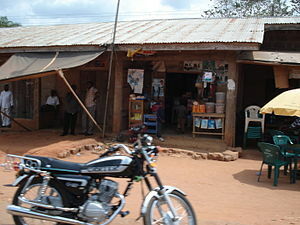 The southwest, which includes the thriving commercial hub Lagos, had the lowest levels of poverty. An increasingly violent insurgency by Islamist sect Boko Haram in Nigeria’s economically stagnant north has begun pressuring the country’s finances by forcing extra spending on security. It is diverting money away from needed infrastructure spending and could be costing as much as 2 percent of the country’s economic output. Boko Haram, which wants Islamic sharia law more widely applied across Africa‘s most populous nation, has been waging a low level insurgency against the government and security forces since 2009. The severity of its attacks has leapt in the last six months with its strikes have been largely confined to the Muslim north, hundreds of kilometres from the commercial hubs of Lagos and the Niger Delta, home to Africa’s biggest oil industry. This means that foreign investors have not been unduly rattled in a broad sense. “The northeast is not all that important economically, so unless they start blowing up stuff in Lagos or they can find a way to disrupt business on a larger scale, I think foreign investors are prepared to live with the threat,” said Alan Cameron, analyst at London-based Investment firm CSL. Foreign direct investors and portfolio managers are, however, concerned about the progress of structural reforms in one of the continent’s most inefficient and wasteful economies – and about the government’s ability to keep a lid on spending. On that latter point, the Boko Haram insurgency is having a bigger impact. Nigeria’s security bill has risen to 20 percent of spending in the 2012 budget from 16 percent in 2010, leaving less money for much-needed infrastructure projects and for work on reforms to the power and other social and industrial sectors. The 2011 budget did not give a breakdown for security costs. “It implies less spending on power infrastructure, education and healthcare, which combined have been allocated a smaller budget than security in 2012,” Renaissance Capital economist Yvonne Mhango said in a note. The direct cost of security is at least 2 percent of Nigeria’s $250 billion economy, measured by the share of spending-to-Gross Domestic Product in 2012, Mhango said. High government spending is also putting pressure on the naira currency. Central bank governor Lamido Sanusi was forced into a controlled depreciation of the naira last year and although it has stabilised, trading is volatile. Sanusi has urged the government to control public spending to prevent further weakening, which would bite directly into potential investment returns for foreigners. Boko Haram killed more than 250 people in a series of attacks in January, according to Human Rights Watch, and security experts believe it has growing ties with outside Islamist groups, including al Qaeda‘s north African wing. It has become President Goodluck Jonathan‘s biggest headache and is threatening to divert the government’s attention from the pressing but thorny issue of weaning the economy away from its reliance on crude oil exports. “You can draw parallels with Japan, which experienced a nuclear crisis last year. The government was distracted by the disaster to the detriment of the economy,” one European investor in Africa told Reuters. “If the Nigerian government gets distracted by Boko Haram rather than economic growth, then it could start to witness weakening economic fundamentals,” he said.